In the first year of Ride 4 Kids in 2017, the riders and supporters managed to raise B1.2 million for the children, preparations and training is now underway for Ride 4 Kids V2.0, 2018, to benefit the needy children of Phuket through three different charities, The Good Shepherd, Phuket Has Been Good To Us and Outrigger’s Share 4 Change Program. Ride 4 Kids organisers with some of the children they will be raising money for during their ride. On June 11, 2018, 18 riders from around Phuket and two flying in from overseas will jump in the saddle to ride 700 kilometres over six days all in the name of charity. They will start in Phuket from the Outrigger Laguna Phuket Beach Resort and return six days later after cycling through beautiful Phang Nga, Krabi, Surat Thani, Khao Sok and Khao Lak. The title sponsor for the event is once again Outrigger Laguna Phuket Beach Resort together with Pavilions Phuket, as major sponsors and returning as media sponsors are The Phuket News as well as The Thaiger supporting for 2018. The entire Phuket community is once again behind the charity ride with fundraising events throughout the island scheduled in support. 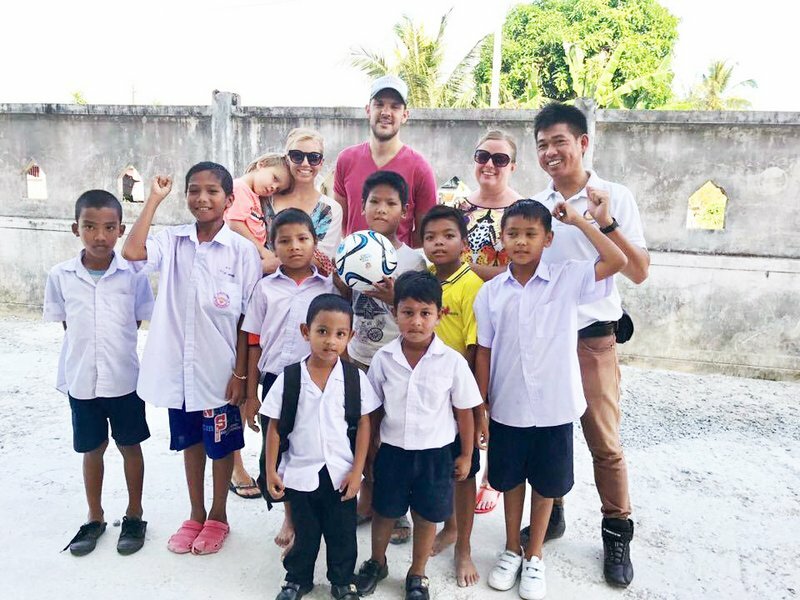 These fundraising events will include a charity quiz at Underwood’s Art Factory on June 9 and a touch football tournament at the Alan Cooke Cricket Ground on June 3, with all proceeds going to Ride 4 Kids. Kajonkiet International School Phuket and British International School, Phuket and their school networks are also behind the ride, with a number or activities being hosted by the schools for the children, including bake sales and ride-a-thons – all to benefit Ride 4 Kids V2.0. A number of parents and teachers from both school communities are completing the six day adventure. If 700km is not possible for you, there is also an opportunity to join the riders to bring them home on the last day with a 100km event. 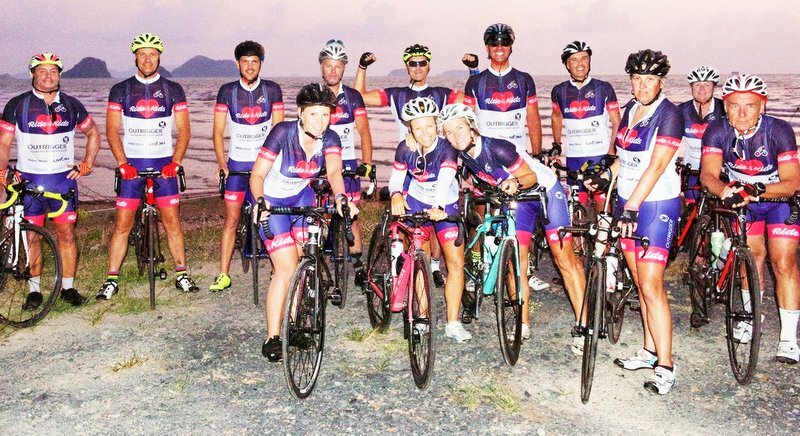 Additional riders will join the team for a sumptuous breakfast at JW Marriott Resort and Spa Khao Lak and then jump in the saddle too, for the last 100km to Outrigger Laguna Beach Resort Phuket. A welcome home party for the riders, crew, their friends and families has be arranged at Outrigger’s Metzo’s Bar and Bistro. “As the title sponsor for the event, hosting the welcome home party is our pleasure, we are excited once again to be part of the event” said General Manager, Tony Pedroni, who is also doing the ride with his wife Annie Pedroni. There will be raffles and silent auctions up for grabs all in the name of the charity. “We hope to follow on from last year and break the million baht target,” added Ride 4 Kids organiser Donna Toon. With the support and momentum already garnished with the event so far, it looks like the target could be achieved.